According to Content Marketing Institute, 86% of B2B marketers and 77% of B2C marketers are taking advantage of content marketing. And Curata found that the vast majority of marketers plan to boost their content marketing spend. 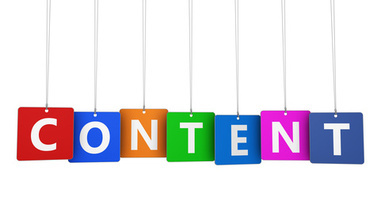 But not all content marketing is created equal. While some is instrumental in fostering brand awareness, leads, and/ or sales, others fall short. Are you communicating with your audience in the best way possible? Does your content resonate with them? Will they even read your content, let alone remember it? A lot of professionals struggle with these questions. In fact, MarketingProfs found that 52% of marketers said that creating engaging content is their biggest challenge and Content Marketing Institute reported that only about a third of B2C marketers consider themselves effective at content marketing. To develop engaging and effective communications, be sure to keep the following best practices in mind. Think about the content format that works best for what you're communicating. Would it be more effective as an infographic or a blog post? Instead, perhaps a checklist would be ideal. Ask yourself in what format can I most clearly articulate my message and which format would my audience most likely prefer? If you have a lot of data or stats to showcase, an infographic might be best. If you're showing people the steps they should take to accomplish something, a guide may be the most appropriate option. Maybe you've been creating a lot of checklists and blog posts lately. Your audience might find it helpful to see some videos and podcasts. Go over your content to ensure that it's not longer or more complex than it needs to be. Try and explain things concisely and in a way that's as easy to understand for as many people as possible. And be sure to avoid jargon and clichés. It's also important to create your content with clarity and conciseness in mind, and then in the editing process look to remove any unnecessary words and redundancy. To easily develop concise content, check that you've laid out your goals for the piece before writing it, as well as decided on an outline and did any required research beforehand. Stories, examples, and analogies help make your communications more clear. People often understand information better, and are able to more easily retain it, when the information is accompanied by an example or a story. Say you're giving your readers tips on how to build rapport with others in the workplace. Try telling a story of how someone (perhaps yourself) put these tips into action, the reactions they started to see from those around them, and the end results. As well, hyperlink certain areas of your content to direct your readers to great resources that will help them better understand or learn more about what you're discussing. Write simply; if your content sounds like it could be found in an academic textbook, you're not on the right track. Just as bad as content with no images, I often come across pieces with an arbitrary visual, as if the author thought to himself "I need an image for this piece, what's the first one I can find?" Good images can be powerful in helping you get your message across. Choose the right visual that illustrates your point or a one that appropriately represents what your content is about. And don't just think about stock photos. Tools out there, such as Canva and PicMonkey, make it easy to design your own images, regardless of how skilled you are at graphic design. Great content is more important now than ever. In order to be successful and achieve your content goals, you need to be aware of how to craft compelling communications that resonate with your audience.